Steve and I went to a Fernando Ortega concert tonight at Taylor (nice, peaceful inspirational music. And a darn funny storyteller.) It was parent’s weekend, so it didn’t feel weird at all that we didn’t have parents with us. Ah, the joys of being MKs. One of his songs was “Mi Abuelito” which means “my grandfather” in Spanish. The cool thing about Fernando’s music is that he uses pictures in the songs to convey meaning. In this song, you could really see his grandfather, as he lived on this one mountain, sang old songs, etc. It also is a goodbye song, as well, as he and his family buried his grandfather on that mountain. 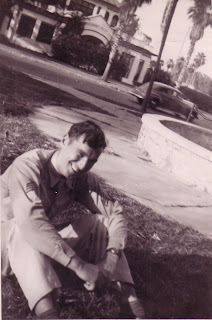 Anyways, I started thinking about my Grandpa Crane, who passed away three years ago this month. And naturally, I might have gotten a little teary. Grandpa was incredibly loving, kind, gentle – just a wonderful man. I remembered that while Mom and Dad were in the US taking care of him and Grandma, Dad spent a lot of time scanning old family pictures into his computer, and he gave copies to all of us. When I got home from the concert, I started looking through them, and as the memories came flooding back, I decided to post a few. So, Dad, thanks for these…. 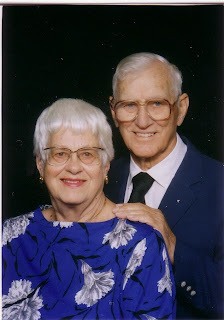 This is one of my favorites of my grandparents. They lived on a hay farm just outside Lansing, Michigan, that had been in the family since the 1870’s. Their farm was a haven for my family – a safe place that was always there for us to go to first as soon as we got to the US. 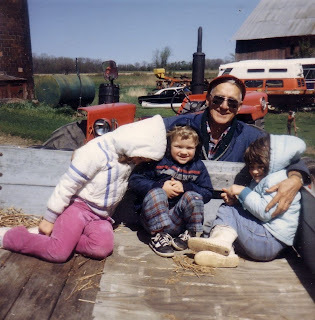 And I wanted to have one of Grandpa with the three of us on the farm. I’m the one all scrunched up on the right. Grandpa was just shy of his 89th birthday when he passed away. Grandma had died the year before, and they had been married for 60 years. They always loved being together – even towards the end of Grandma’s life, she still made it clear she wanted to be where he was. I loved them both very much, and I still miss them. So, thanks, Fernando Ortega, for helping me remember. Ask me sometime about my Great Grandma. She was also a very special person in my life.